Potentially scalable and sustainable ways of removing greenhouse gases (GHGs) from the atmosphere range from novel pieces of process engineering to activities looking to understand and restore ecosystems. The short answer is woolly mammoths could help, but they may not be necessary. More important is the “Mammoth Steppe” ecosystem they once inhabited - a vast grassland extending from Europe to Canada. According to two scientists from a remote corner of Siberia, the Mammoth Steppe played a key role in the planet’s carbon budget and was a powerful driver of global climate during the Pleistocene. Taking it a step further, they propose that restoring this ecosystem to its former glory could play an important role in mitigating human-induced climate change. This bears a moment’s thought. While it may sound crazy, this could be a classic case of truth being stranger than fiction. 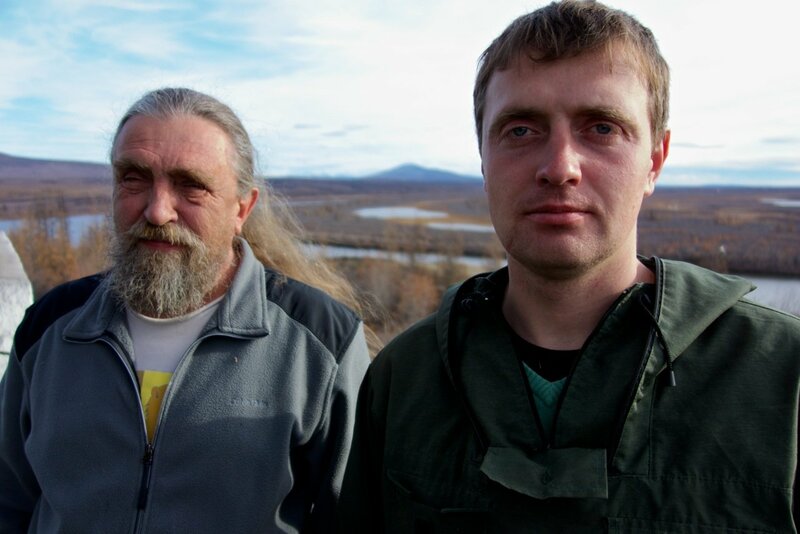 For the past four weeks I have been living with Sergey and Nikita Zimov, a father-and-son team of scientists, at their home and research station in Chersky, Siberia. I’ve been shooting preliminary footage for a documentary about Pleistocene Park, their unusual large-scale experiment — and plan to save the world. Russian scientists Sergey and Nikita Zimov. 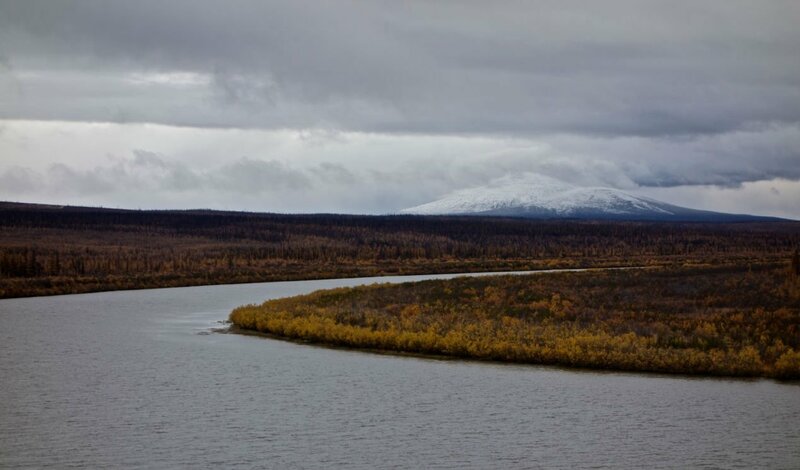 Two men with a mammoth plan to restore permafrost ecosystems. A cloned woolly mammoth may well walk the earth in the not so distant future. A team of Japanese geneticists recently announced that they expect to produce one within five years. The Zimovs, however, are adamant that they don’t need an actual mammoth, or any other extinct species to proceed. They have a more ambitious plan: to resurrect, not a single species, but an entire extinct ecosystem. In fact, they have already started. 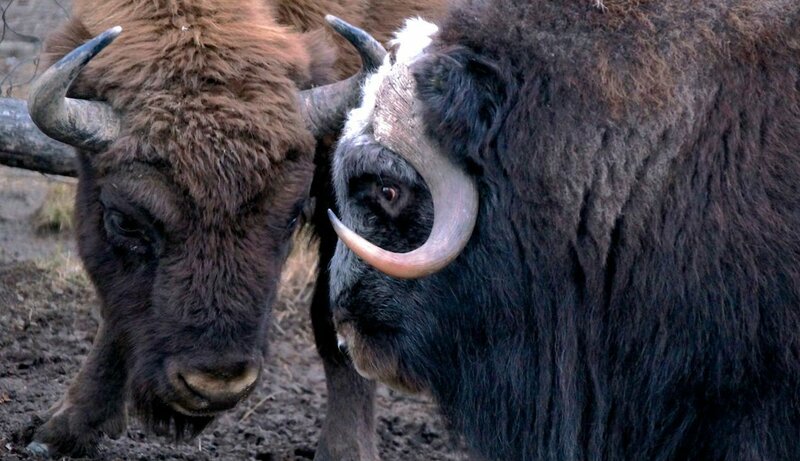 An hour’s boat ride south of their research station, they have fenced off several square kilometers of land and began populating it with herbivores: Yakutian horses, reindeer, elk, moose, European bison, and musk oxen. They are working on bringing more: Canadian bison, yaks, wolves; and Sergey really wants a tiger. They aren’t opposed to mammoth cloning, mind you. They just have more pressing concerns at the moment. But what does an extinct ecosystem have to do with climate change and how does Sergey’s menagerie fit into this? Throughout the Pleistocene, an era from roughly 2.5 million to 12,000 years ago, the Mammoth Steppe was an incredibly productive grassland populated by very large numbers of big herbivores — think African Serengeti but with more animals and, well… woollier. The Zimovs actually calculated herbivore density based on bones they found in an eroding riverbank near their house. I won’t subject you to the math; you can read about it in their peer reviewed paper. The gist is that, if Sergey’s house had existed during the Pleistocene, he could have looked out his window onto the Kolima river floodplain and seen as many as 1000-3000 large herbivores grazing below, including approximately 70 wooly mammoths. All these animals ate grass, a lot of grass, and pooped - a lot of poop. In the Arctic the only place where anything decomposes is in the belly of a large hairy beast. Sergey uses an economic analogy: Its not how much money you have in the bank, it’s how fast this money turns over. 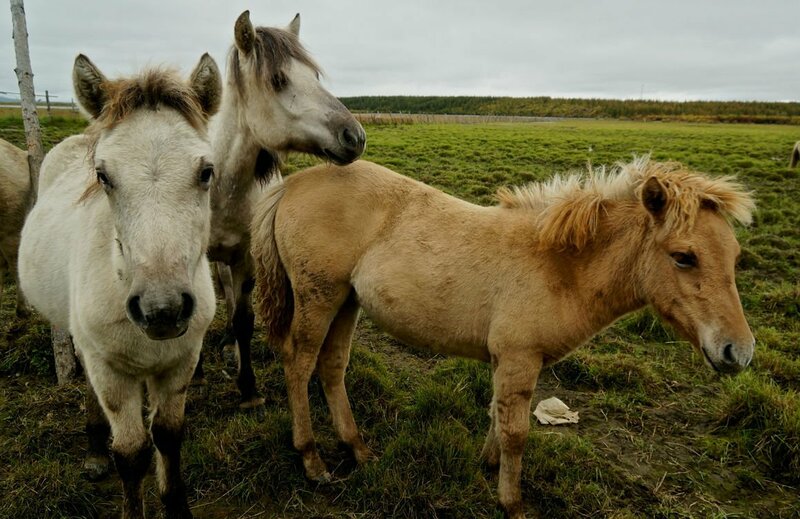 A horse can turn grass into fertilizer in about 20 hours. All this fertilizer had a profound impact on the global carbon budget. During the Pleistocene, dung mixed with wind blown dust, and built carbon-rich soil, layer by layer, fertilizing more grass. Underground, the permafrost crept upwards, freezing grass roots, animal bones, and in some cases entire animals, meat, hair and all. - All images courtesy of Luke Griswold-Tergis.